Home Latest PRESS NOTE:-Okhi Vavazoda Babat Alert Raheva Suchna..! PRESS NOTE:-Okhi Vavazoda Babat Alert Raheva Suchna..! Cyclone Ockhi, labelled as a “very severe” cyclonic storm, has been moving northwards with a speed of 18 kmph during the past six hours, an update from IMD said. The storm, by the time it reaches Gujarat, will weaken. The cyclone which battered Tamil Nadu and Kerala, moved beyond Lakshadweep. Local MP Mohammad Faizal said that Lakshadweep suffered a loss of over Rs 500 crore and requested the Centre for help. 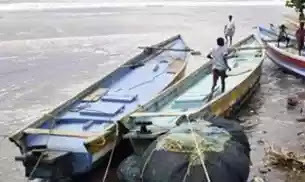 Meanwhile, alert has been issued for fishermen in Maharashtra and Gujarat as the condition of the sea will be “very rough” on Monday and Tuesday. According to an update issued by IMD at 8:30 am on December 4, “light to moderate rainfall is very likely at a few places over Saurashtra and south Gujarat region on 4th December.Light to moderate rainfall at many places with heavy rainfall at isolated places is very likely over Saurashtra and south Gujarat region on December 5 and light to moderate rainfall over Gujarat region on 6th December (till noon). Light to moderate rainfall at many places with isolated heavy rainfall is also likely over north Konkan on December 5”.The update said that the sea condition would be “rough to very rough along and off north Maharashtra and South Gujarat coasts from today, the 4th night to 6th December 2017 morning.”IMD advised fishermen in south Gujarat and Maharashtra coasts not to venture into the sea from December 4 to 6.